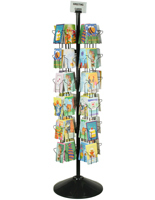 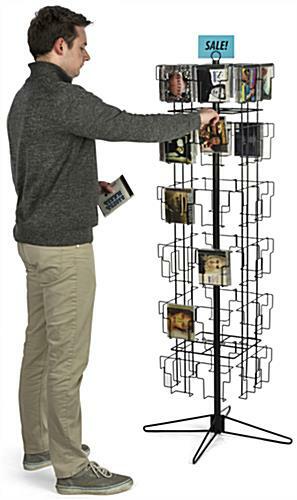 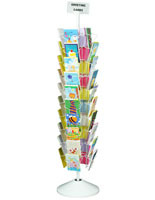 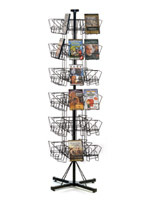 This CD display stand with 48 pockets is perfect for storage and organization purposes. 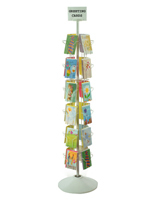 The floorstanding unit is 66" tall which is ideal for customer browsing and also grabbing attention. 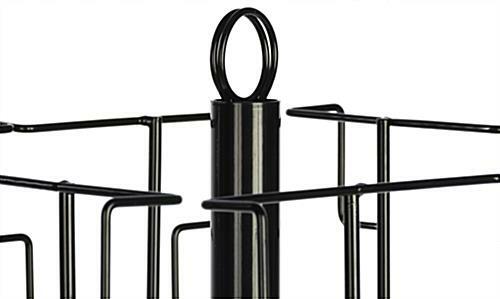 Each wire stand is coated with a black finish to blend with any retail decor. 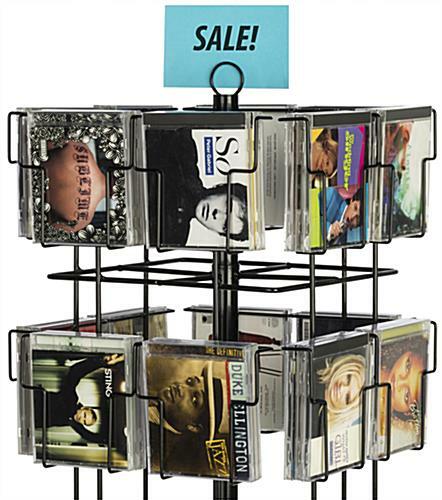 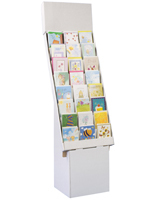 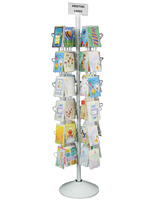 The 6-tier rack is able to hold CD's, DVD's and greeting cards. 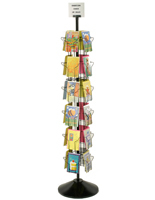 Organize by level and treat your customers to easy browsing with the use of this spinning store display!